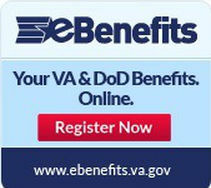 1-877-OHIO VET (1-877-644-6838) or find your county on the map at http://dvs.ohio.gov. Learn more about smoking and heart disease at the Veterans Health Library. VA partners with the National Cancer Institute to provide this service. To sign-up for SmokefreeVET, just text VET to 47848 from your cell phone or visit www.smokefree-gov/VET. SMOKED to 47848 at any time for extra support.